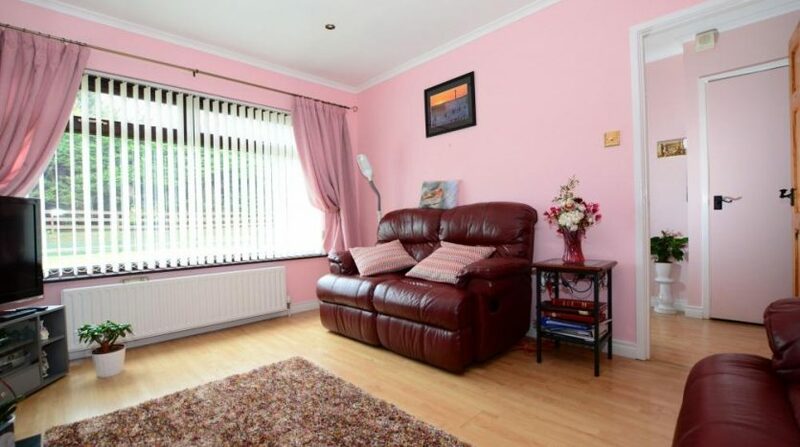 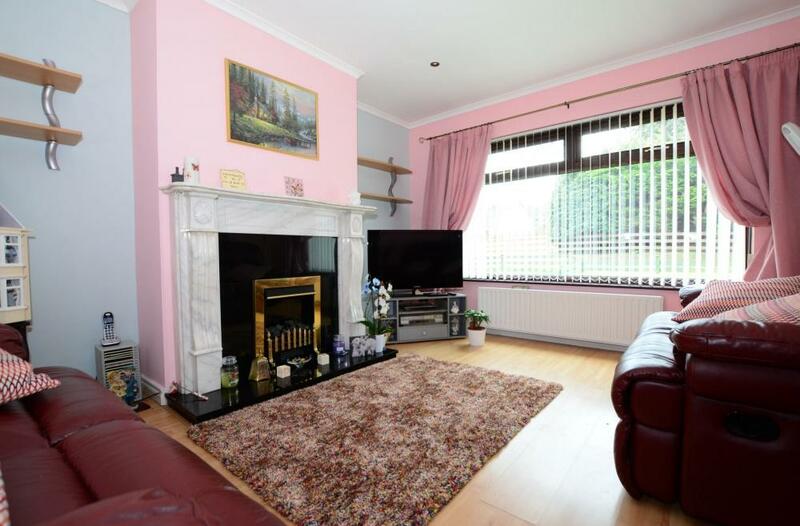 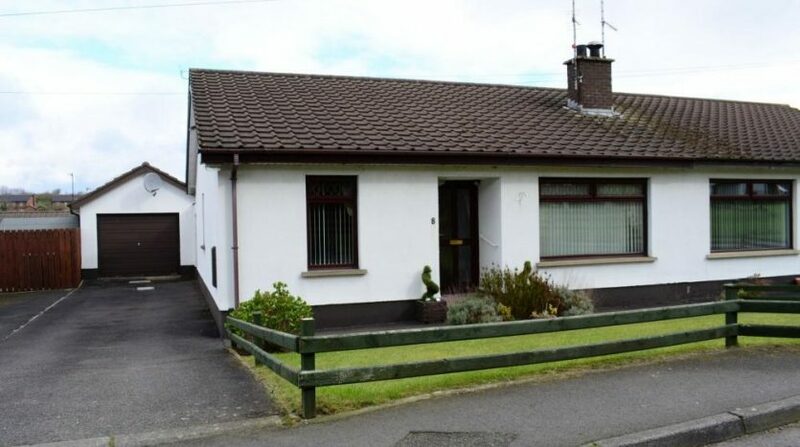 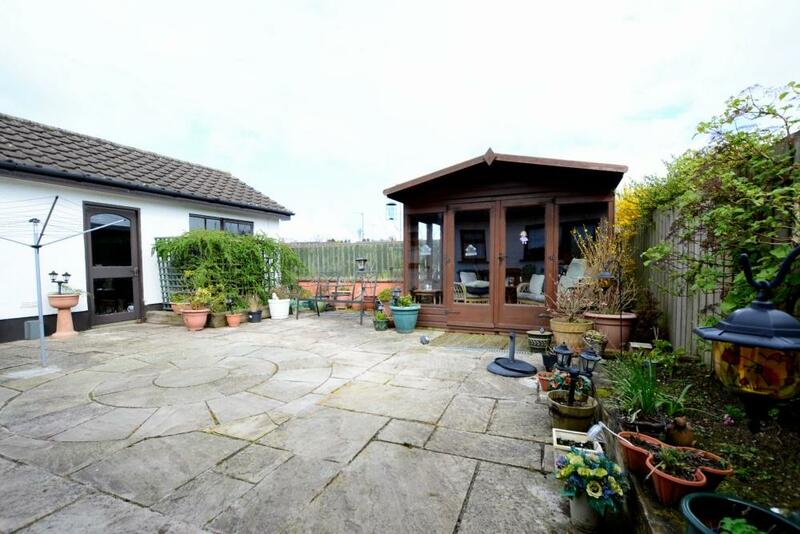 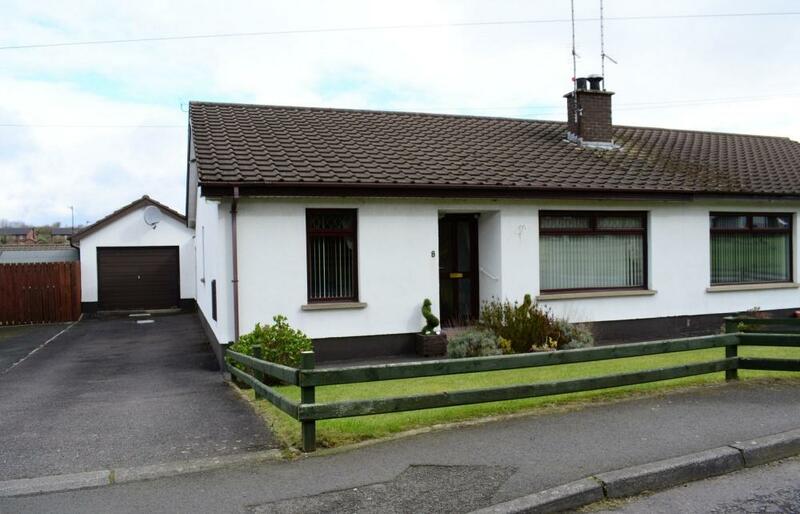 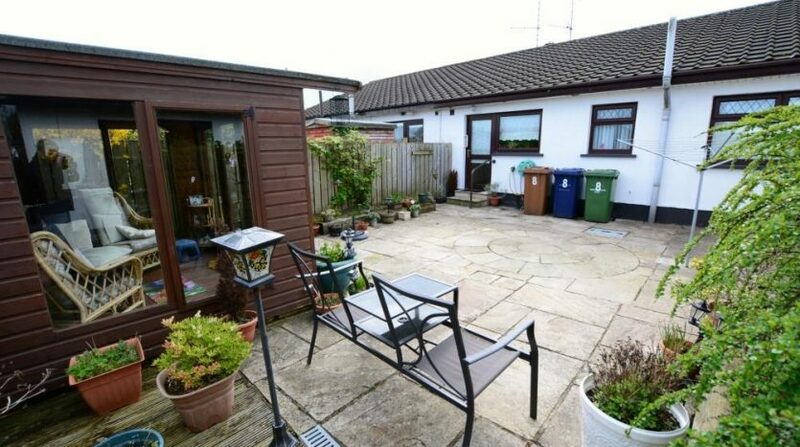 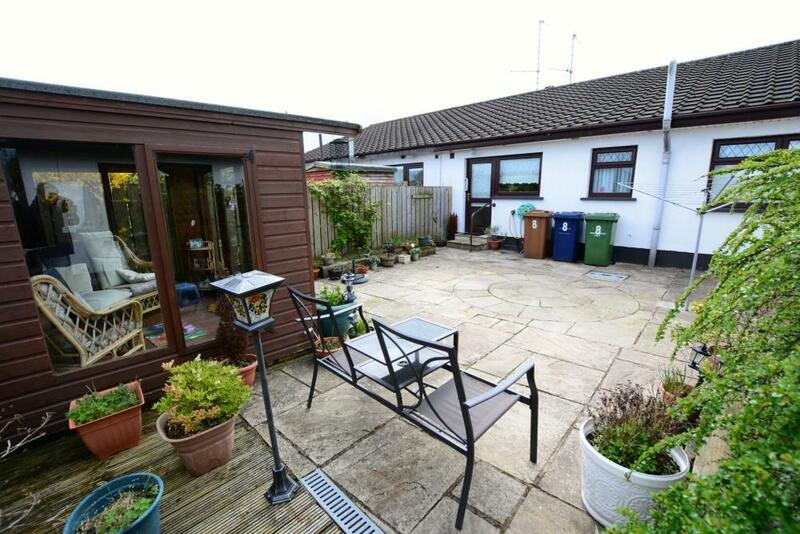 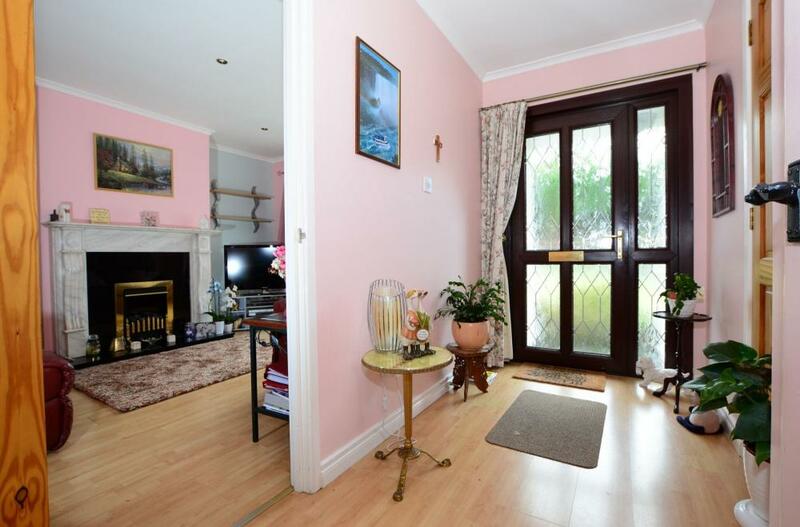 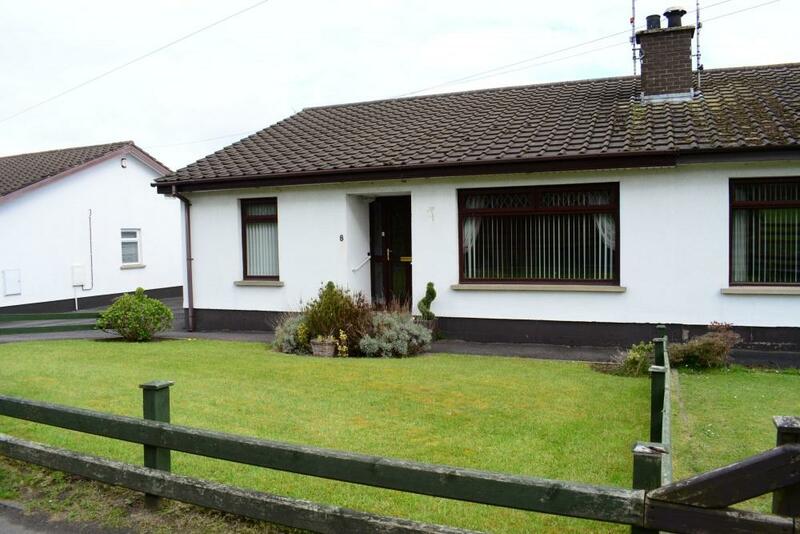 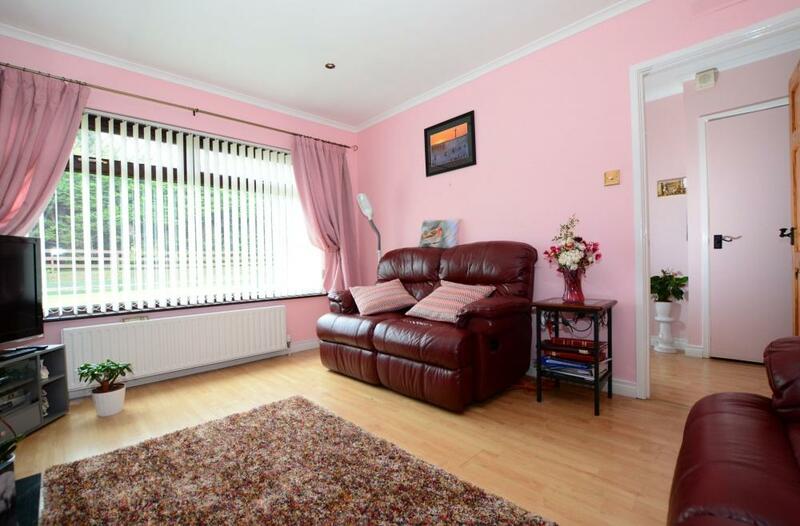 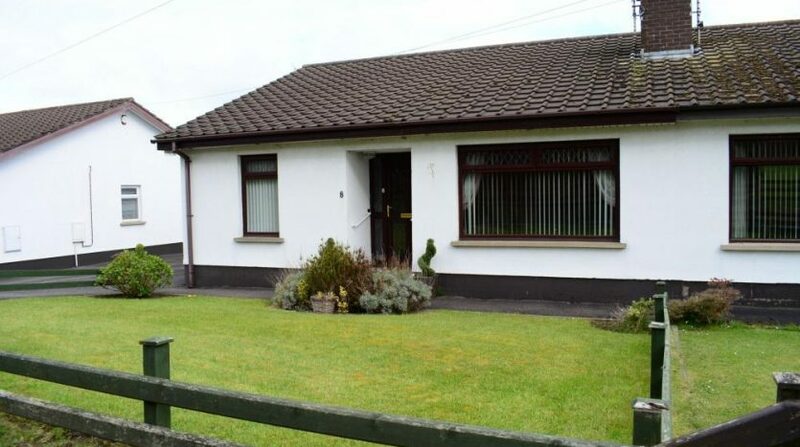 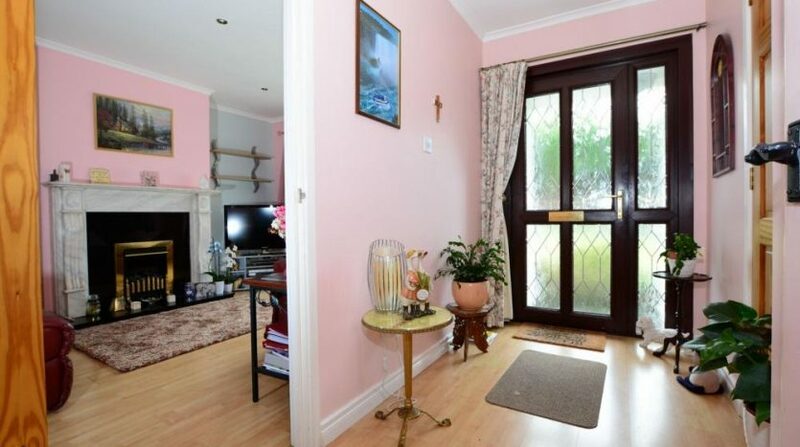 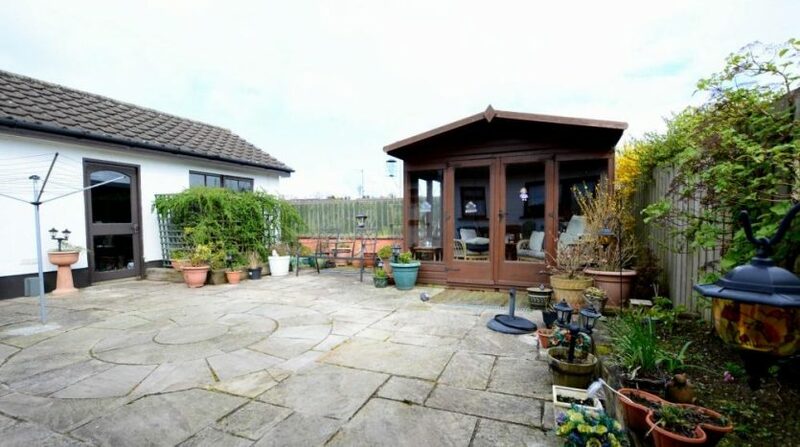 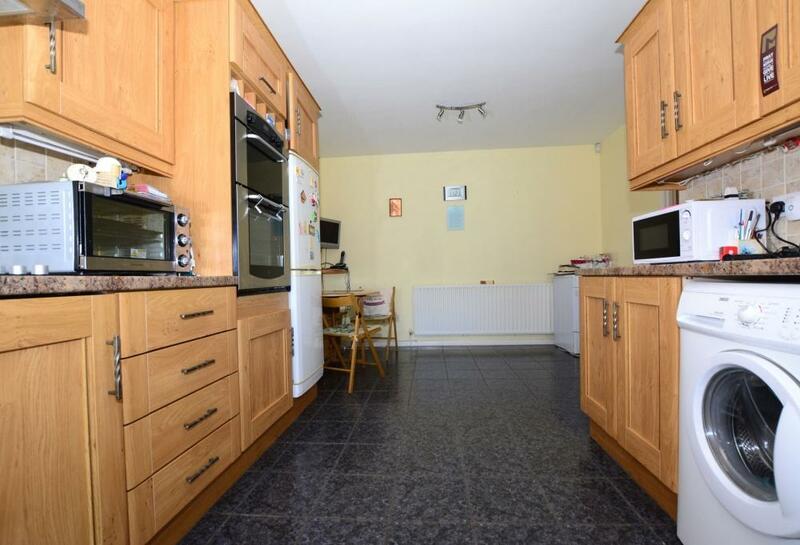 A well presented and maintained semi detached bungalow with garage on the Steps Road. 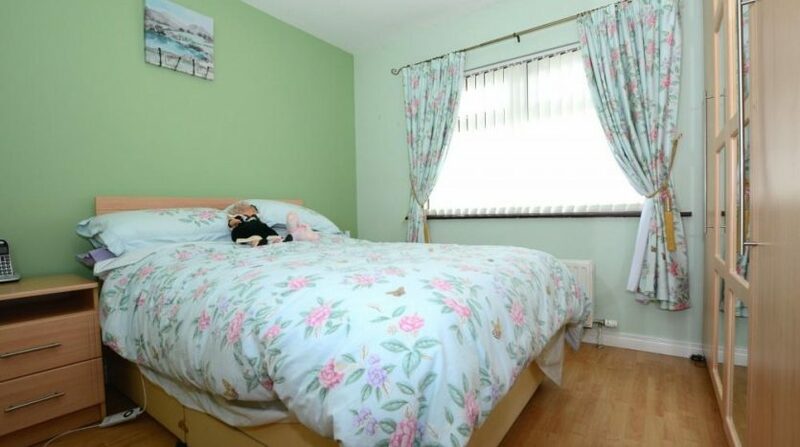 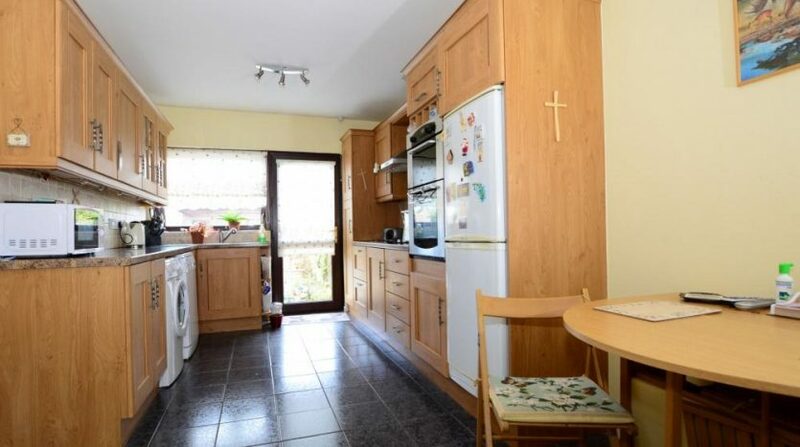 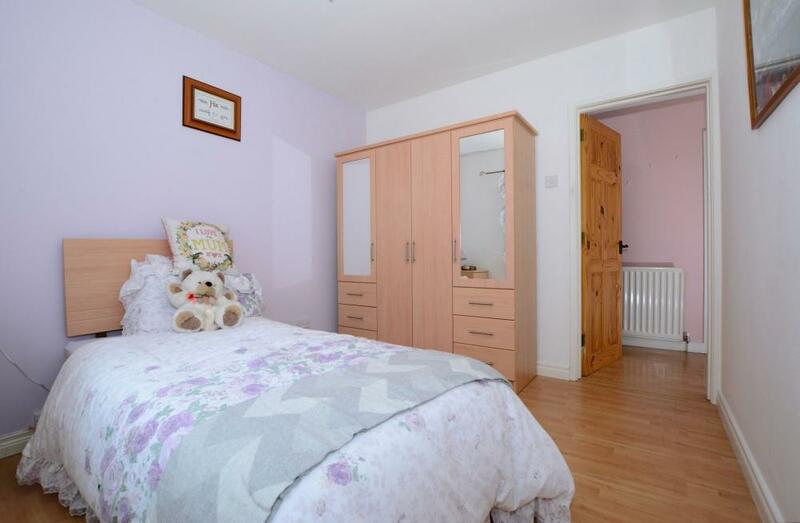 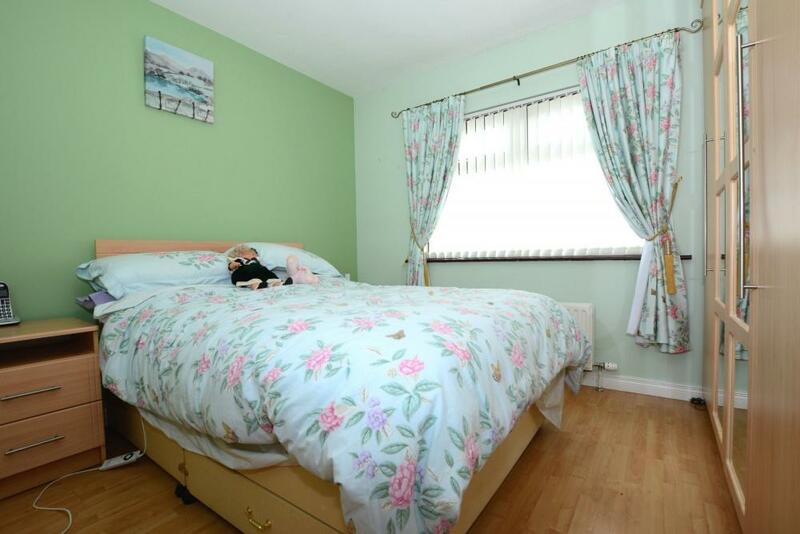 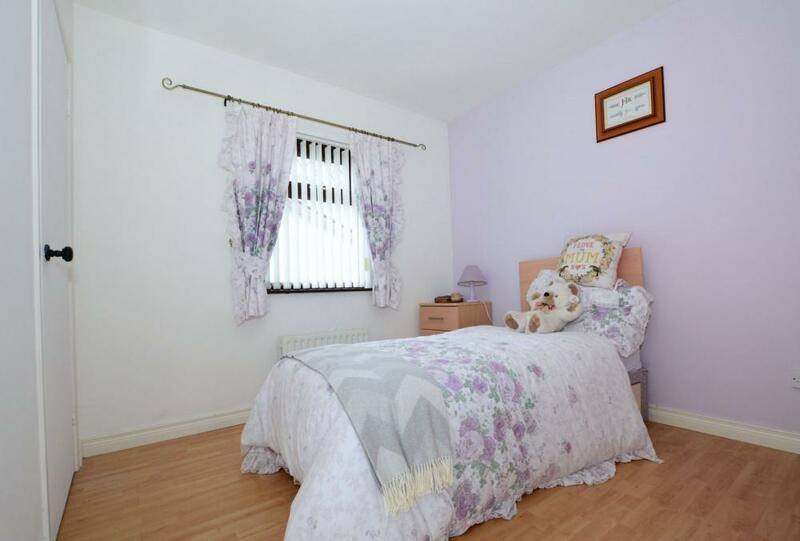 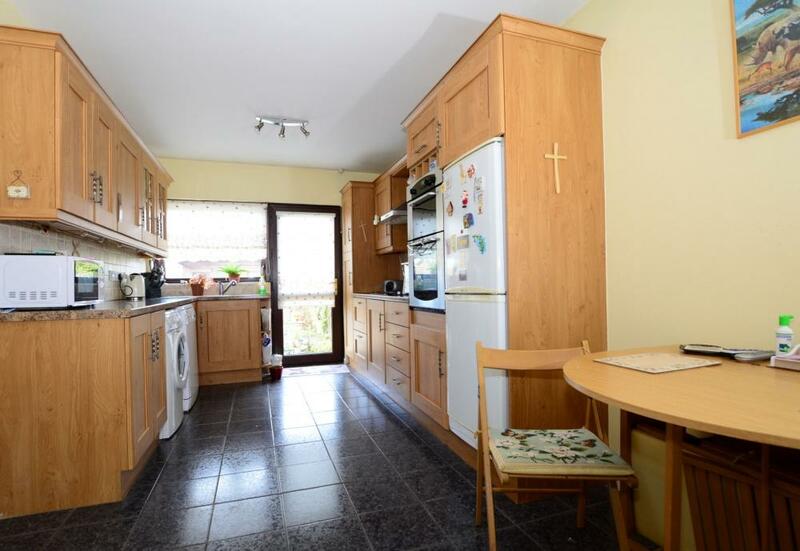 This home has been lovingly cared for and is well located beside Magheralin Primary School and is close to the village shops, church and public transport. 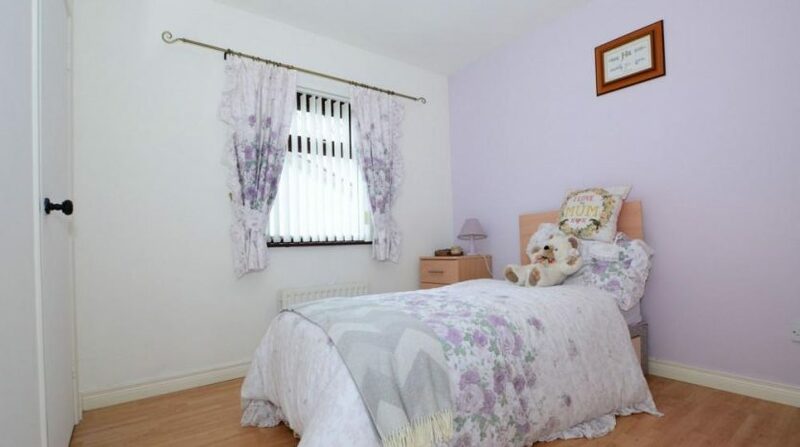 It will ideally suit either those downsizing or who are looking for their first home. 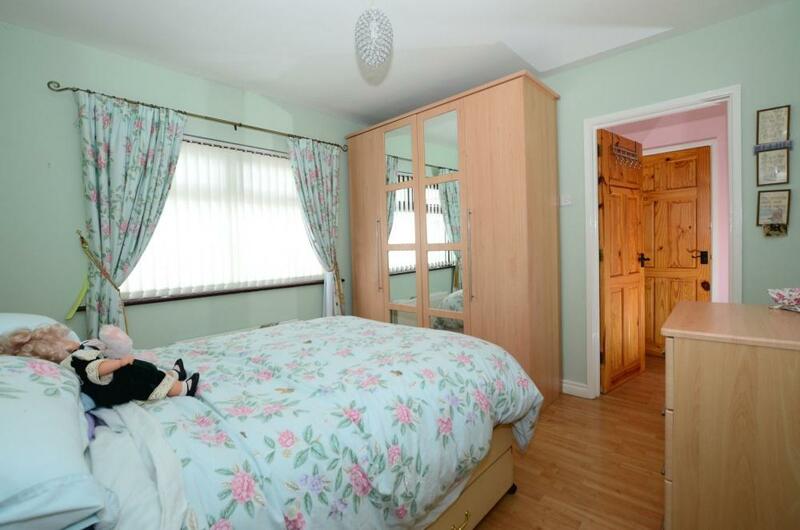 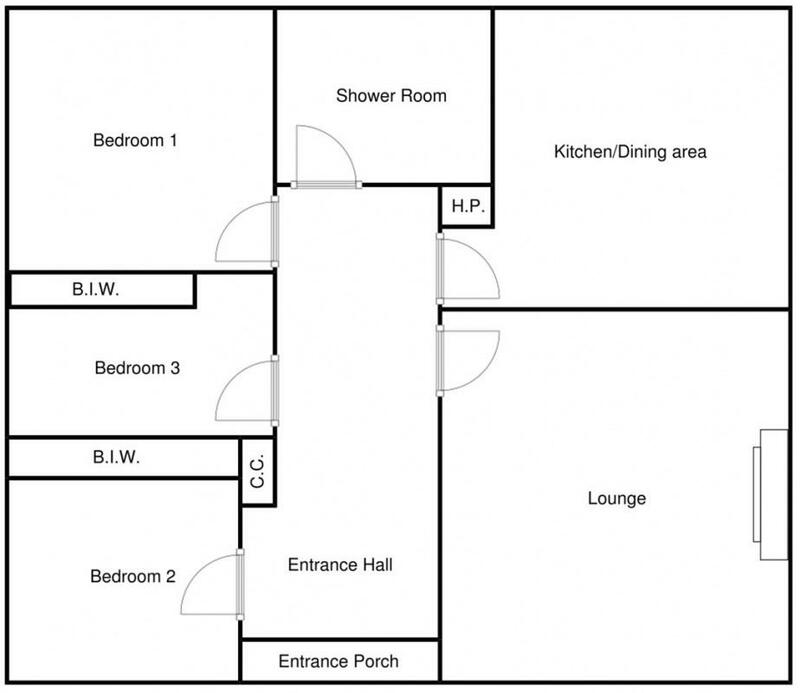 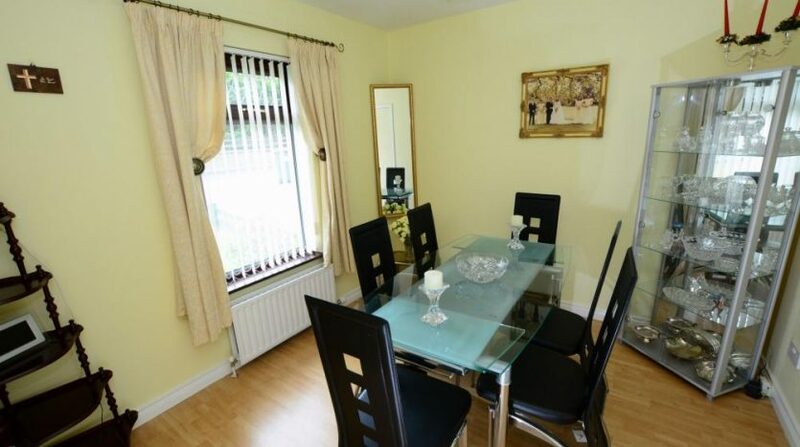 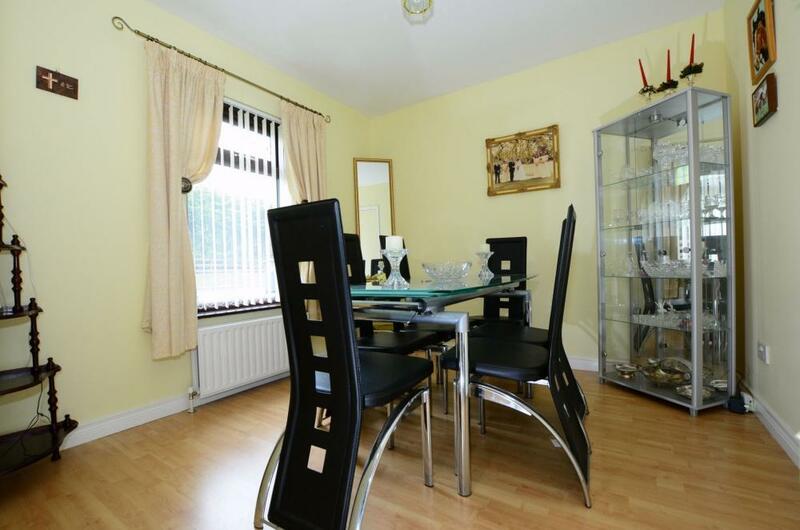 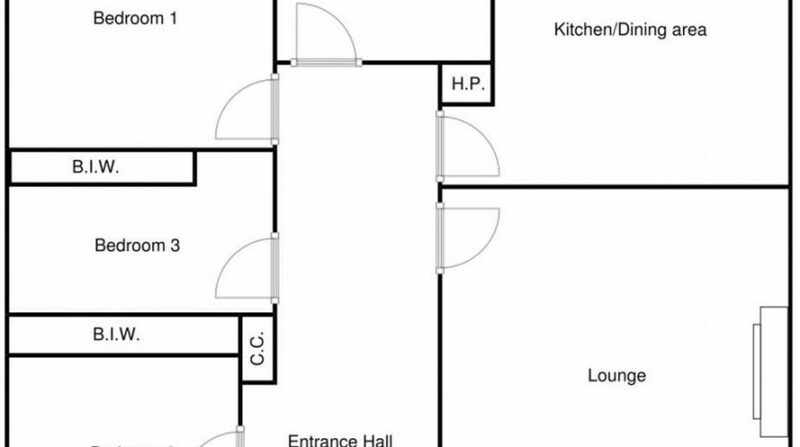 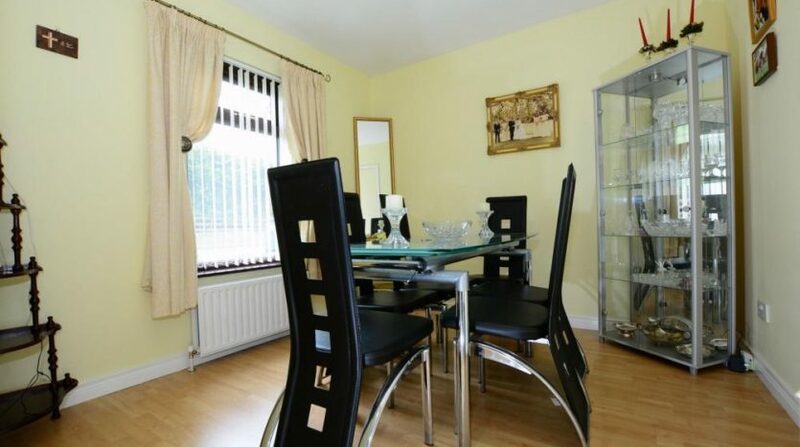 Accommodation comprises; entrance hall, living room, kitchen/ dining area, 3 bedrooms with wardrobes and shower room. 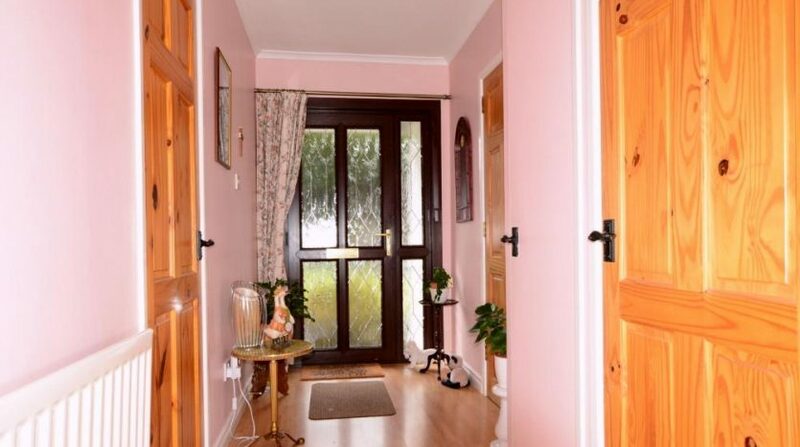 uPVC double glazed entrance door and side panels, wooden laminate flooring, built in cloaks cupboard, built in hot press, access to roof space, coving to ceiling. 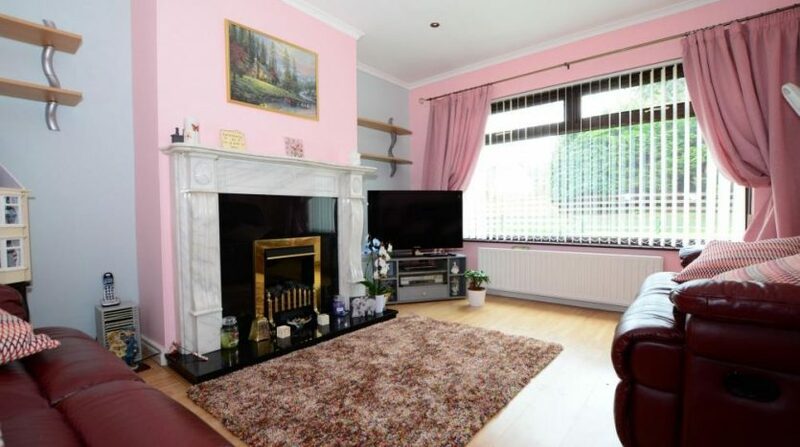 3.5m x 4.2m (11′ 6″x13′ 9″) Feature fireplace with Granite inset and hearth, wooden laminate flooring, coving to ceiling, recessed low voltage downlights. 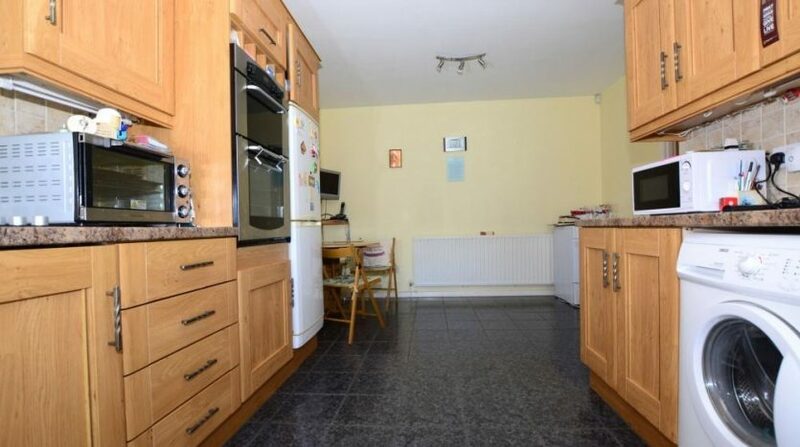 3.5m x 5.1m (11′ 6″x16′ 9″) Excellent range of high and low level units, extractor hood, 4 ring ceramic hob, built in double oven, space for fridge/freezer, 1 1/2 bowl single drainer sink unit with mixer tap, plumbed for dishwasher, plumbed for automatic washing machine, part tiled walls, tiled floor. 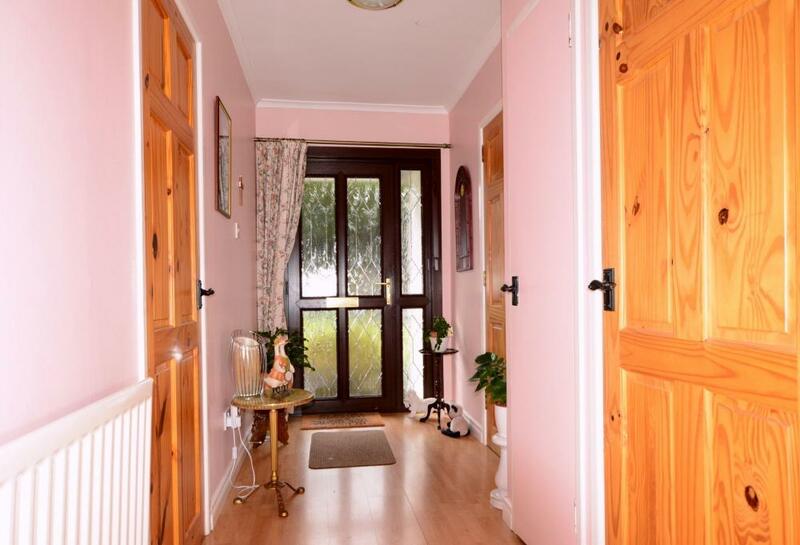 3.2m x 3.2m (10′ 6″x10′ 6″) Wooden laminate flooring. 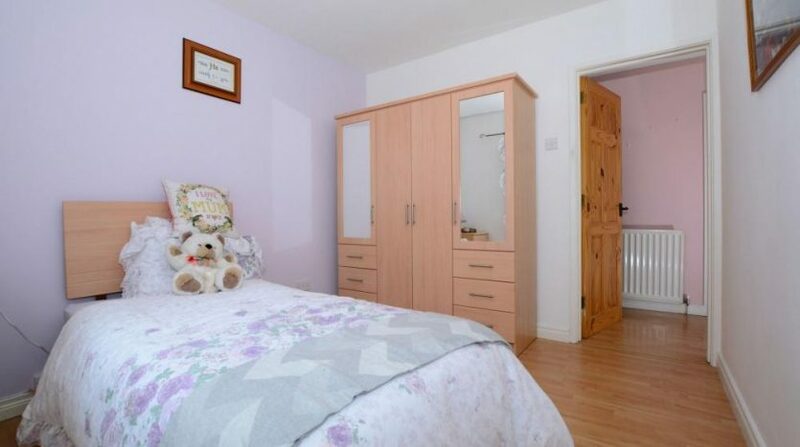 2.8m x 3.3m (9′ 2″x10′ 10″) Built in wardrobe, wooden laminate flooring. 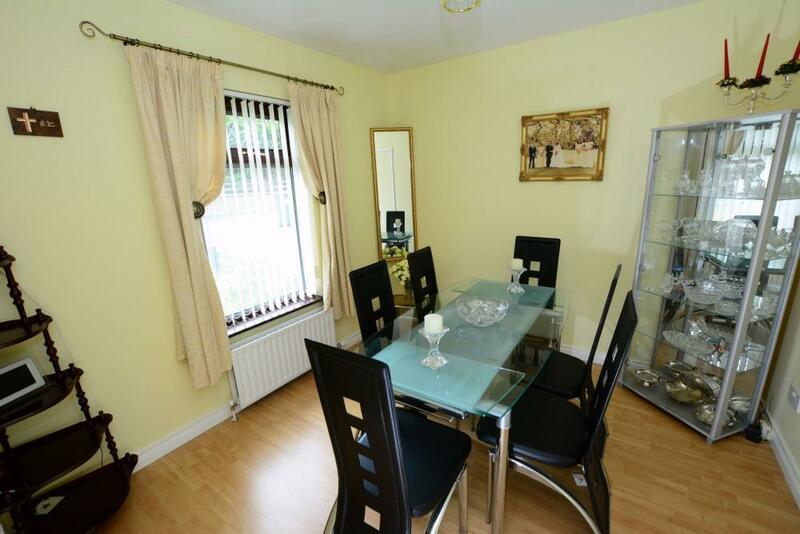 2.9m x 3.0m (9′ 6″x9′ 10″) Presently used as a dining room. 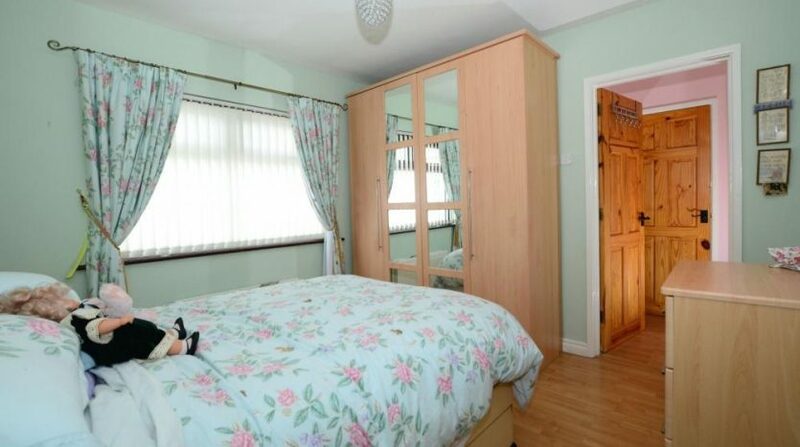 Built in wardrobe, wooden laminate flooring. 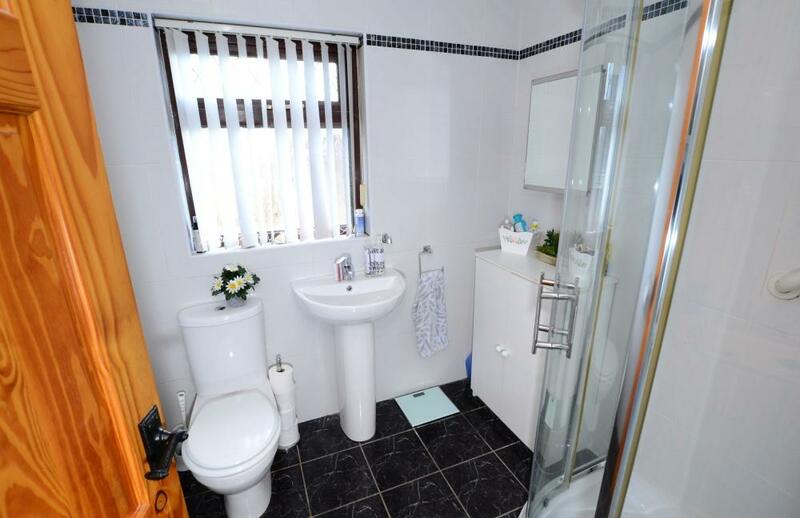 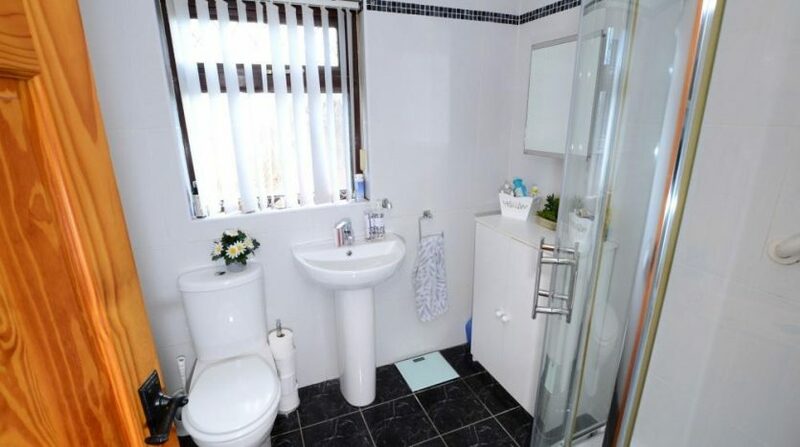 Modern white suite comprising: pedestal wash hand basin, low flush w.c., fully tiled shower cubicle with power shower, fully tiled walls, tiled floor, panelled ceiling with low voltage downlights, chrome heated towel rail. 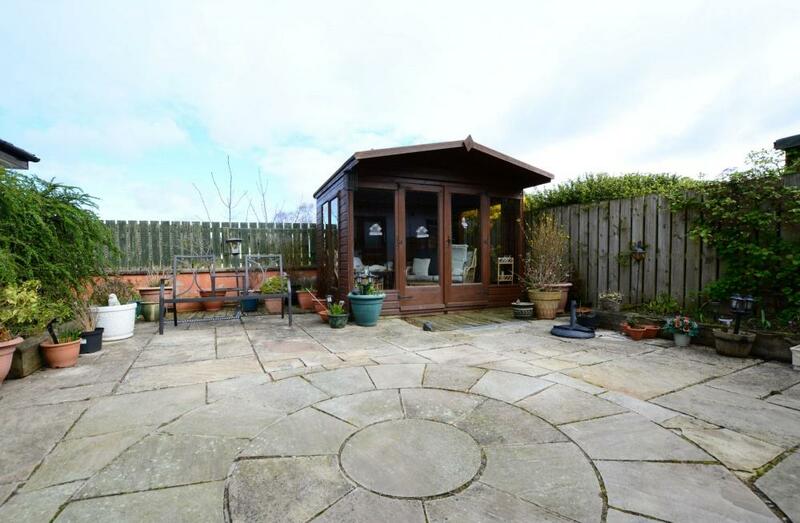 Enclosed private rear garden paved with feature pavers and sun house. 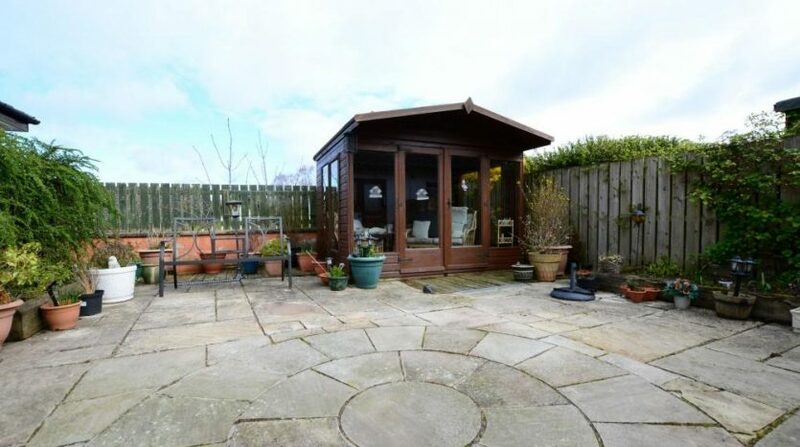 3.5m x 6.6m (11′ 6″x21′ 8″) Up and over door, oil fired boiler.